The government took a leap in logistics by introducing e-way bills to check tax evasion by tracking the movement of goods and establishing direct linkage between what is declared and what is actually moved. Now it is trying to make the e-way bill system even stricter. It has found an innovative way to check evasion of the Goods and Services Tax (GST). 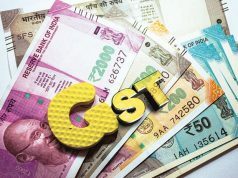 It is planning to link the GST Network with FASTag mechanism of the National Highways Authority of India (NHAI) and Logistics Data Bank (LDB) services of the Delhi-Mumbai Industrial Corridor Development Corporation. FASTag is a device that employs Radio Frequency Identification (RFID) technology for making toll payments directly from the prepaid or savings account linked to it. It is affixed on the windscreen of the vehicle and enables the commuter to drive through toll plazas without stopping for cash transactions. 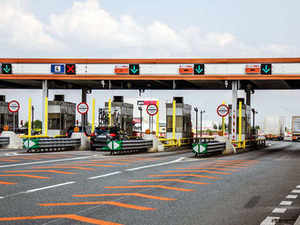 Road Transport and Highways Minister Nitin Gadkari had announced in September this year that all toll plazas in India would get FASTags over the next four months. In July this year, the government had proposed making FASTag and vehicle tracking systems mandatory for commercial vehicles seeking a national permit. FASTag was made mandatory for all new four-wheelers from December 2017. Mandatory FASTag is aimed at decongesting toll plazas and saving time and fuel. The government has launched a mobile app through which highway users can buy FASTags which are delivered to the user’s doorsteps within 24 hours. The revenue department is planning to integrate e-way bills with FASTag mechanism to facilitate faster movement of goods and check GST evasion. E-way bills are required for moving goods worth over Rs 50,000 from one state to another. The e-way bills will also be linked to LDB services of the DMICDC. LDB too uses RFID technology to provide container tracking services in India by integrating multiple information nodes across various agencies. The e-way bill linkage with FASTag and LDB will improve operational efficiencies across the country’s logistic landscape. 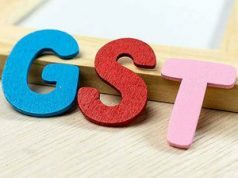 It will also help in preventing GST evasion by unscrupulous traders who take advantage of the loopholes in the supply chain. 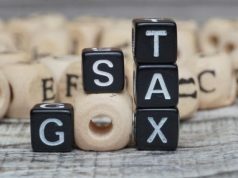 The linkage is expected to help boost tax collections by clamping down on trade that currently happens on cash basis. Integration of e-way bill with FASTag will help revenue authorities track the movement of vehicles and ensure that they are travelling to the same destination as the transporter or the trader had specified while generating the e-way bill. It will also help suppliers locate the goods through the e-way bill system. Transporters, too, would be able to track their vehicles through SMS alerts that would be generated at each toll plaza.